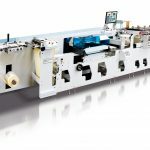 The North Italy (Brescia) based Lombardi is a prosperous Company developing extraordinarily dynamically to become one of the leading label press machine manufacturers since its appearance on the market with the application of technical solutions worth of attention and with references certifying the successful delivery of some 1300 machines (in 100 countries throughout the world). 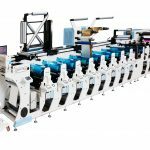 It has been engaged in the designing and manufacturing of narrow web flexographic printing machines (centrally or line positioned counter press cylinder design) since the 2000s contributing to the development of printing companies. 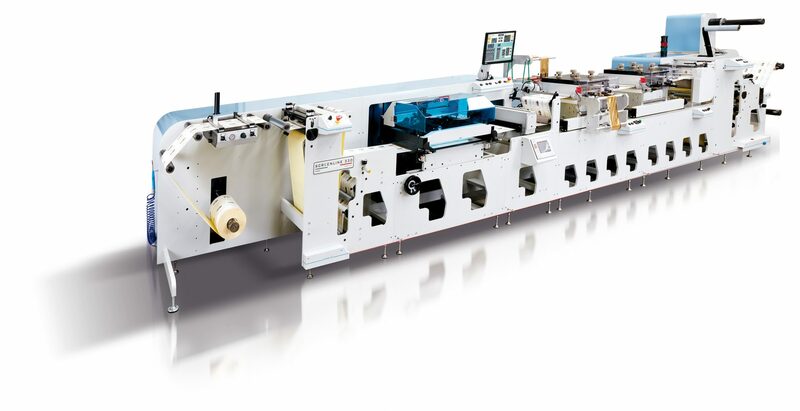 The recent machine supply ranges from the narrow web servo driven flexomachines through the diverse machines for surface hardening to traditional label presses. For printers today, one of the greatest challenge is to print on extensible packing materials for the packaging industry. 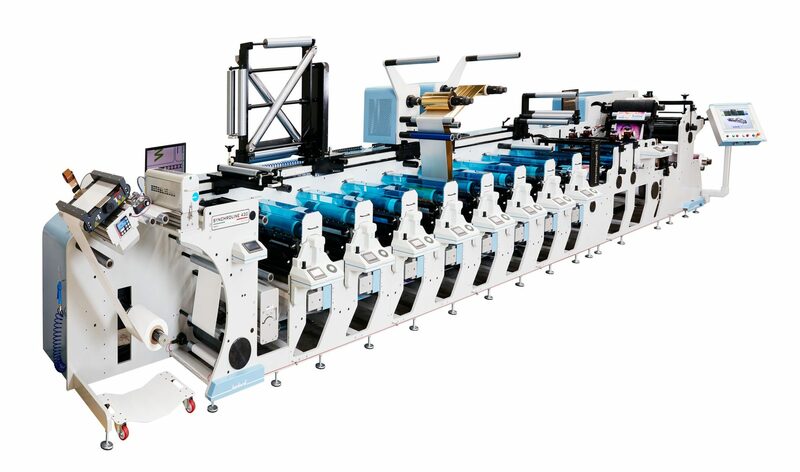 The printing press is adjustable to the most diverse surfaces to be printed on to eliminate the common problems of printing and owing to accurate tension and temperature control most of the materials can be printed. 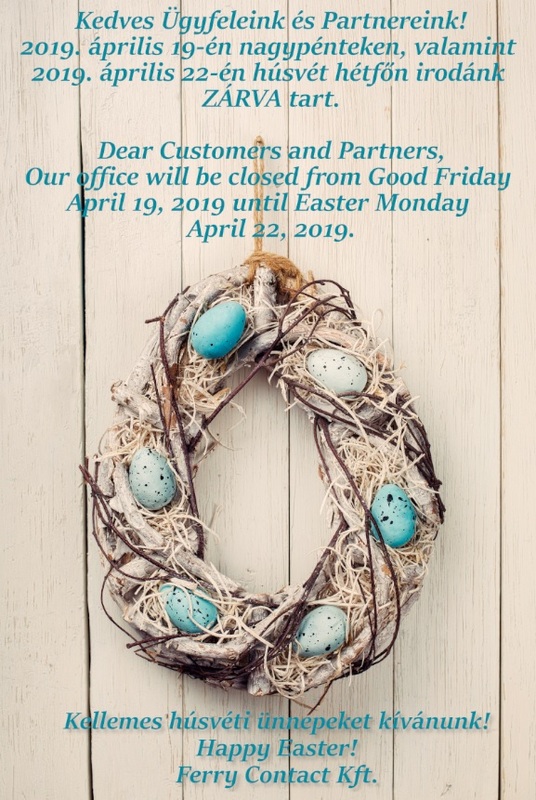 Fields of application: cartons, shrinking foils, shrinking foils used in food industry, multitier tags, extensible packaging materials, shrink sleeves, metallised foils, safety products, lottery tickets, brochures, RFID tags and tickets. 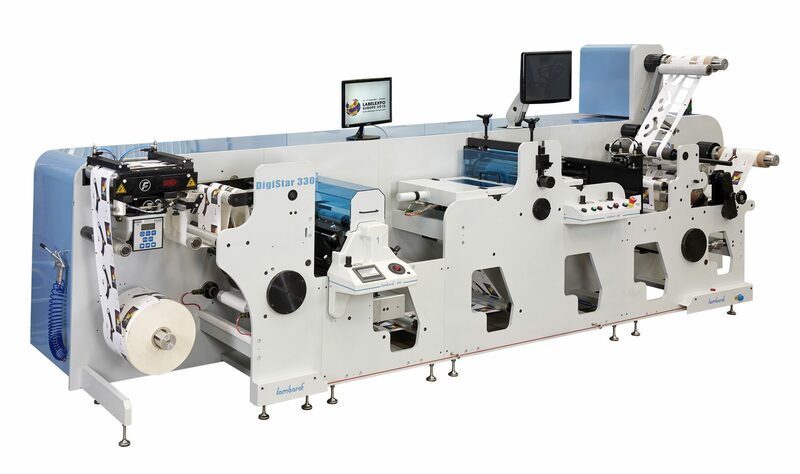 Each printing unit of SYNCHROLINE is equipped with an independent servo motor to ensure advantages such as the pre-register, auto-register and print length control. Each printing unit of the SYNCHROLINE is furnished with the A.B.S. (Air Blade System) pneumatic doctor blade regulator (a solution under protection of exclusive patent). Parallel positioning controllable between the raster cylinder and the doctor blade. Even pressure during wearing of the doctor blade. Best printing quality for evenly dispersed ink. The fully automatic pre-register system sets the cylinders into register position before the material is processed, so interchanging time and setting in waste is maintained at minimum level. The automatic register control system maintains longitudinal accuracy of register when heat sensitive materials are processed. 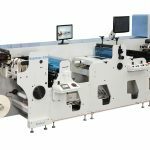 Facilitates saving of every production parameter (print length, web tension, register signal, etc.) and their checking later. The electronic web tension regulator ensures excellent stability of registration during work from the beginning to the end. Base materials: tag or label material, paper, foil laminate, foil with carrier, foil without carrier, carton, pouch material, aluminium.